NASA has just announced further details about their new mission to fly into the sun’s atmosphere. It was announced that the spacecraft, formerly known as the Solar Probe Plus, will be renamed the Parker Solar Probe after the American solar astrophysicist Eugene Parker. As reported by The Guardian, Parker predicted the existence of solar winds – the high speed flow of particles which travel away from the sun and out into space. Parker’s theory, put forward in 1958, was initially met with doubt from other scientists but, with the advent of more technologically advanced equipment, his theory was proved correct. Whilst NASA has previously named around 20 spacecraft after scientists, Parker is the first to be honoured within his lifetime. 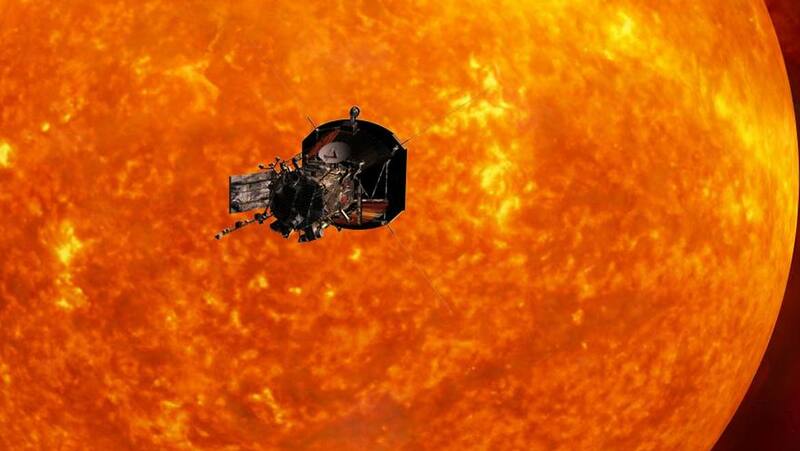 This spacecraft will get closer to the sun than ever before – within four million miles. In order to achieve this it has been necessary to design the spacecraft to withstand both incredibly high temperatures of over 1400OC (2552F) and immense levels of radiation. The sunlight will be 3000 times more intense where the Parker Space Probe is travelling to, than here on Earth. The spacecraft, which was a challenge to design, will be protected by a thermal shield, from behind which measurements will be taken with the hope of learning not just more about our own sun, but how stars function. The mission will also help improve forecasting for weather events in space which impact the Earth, satellites and astronauts in space. Coronal mass ejections on the sun can result in geomagnetic storms, which have the potential to affect satellite systems and power grids. Fittingly, the probe will also observe the suns magnetic field, known as the Parker Magnetic Field. As Eugene Parker himself said, this is a “heroic scientific space mission” operating on the very edge of what is currently possible. The Parker Space Probe is due to launch in the summer of 2018.